Monday 31st July 2017 – 9.13am – Murray MacGregor. 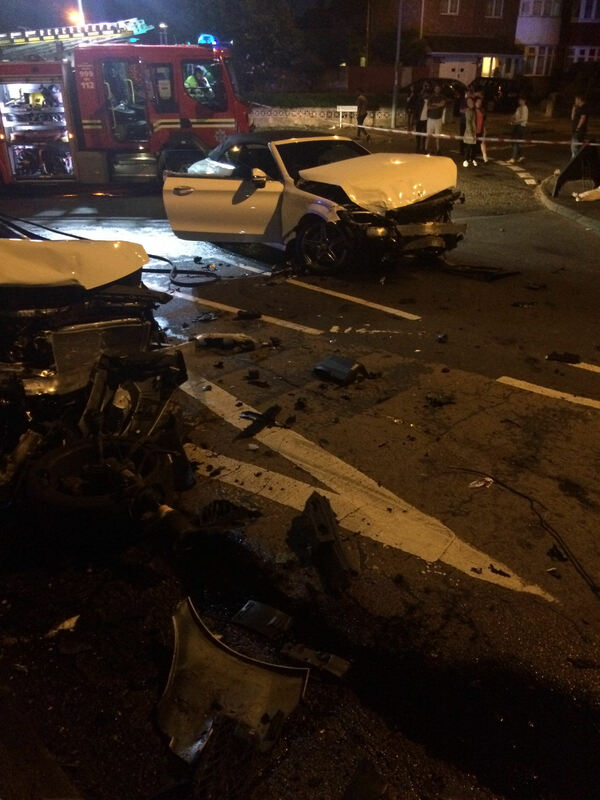 Three people, including a young girl, have been taken to major trauma centres after a serious two car crash. It happened near to the A46 Bishopton Island just to the north of Stratford Upon Avon at about 5.25pm on Sunday afternoon. Two ambulances, a paramedic officer and the Midlands Air Ambulances from Strensham and Cosford were sent to the scene. A West Midlands Ambulance Service spokesman, said: “On arrival, crews found a BMW estate that had ended up in a hedge and a white Ford Fiesta with significant front-end damage. “The 18-year-old woman driving the Fiesta had to be cut free from the wreckage. She had fractures to both legs and her left arm; she was not fully conscious. She was immobilised had splints applied and was then airlifted to the major trauma centre at University Hospital Coventry & Warwickshire by the Cosford aircraft. “The front seat passenger in the BMW was a 34-year-old woman. She had facial, leg and wrist injuries. She was immobilised and taken on blue lights to the same major trauma centre by land ambulance. “A seven-year-old girl in the back of the car had neck and abdominal pain and facial injuries. She was also immobilised, given pain relief and taken on blue lights to Birmingham Children’s Hospital. A critical care paramedic from the Strensham aircraft travelled with the ambulance crew. Two men needed treatment for serious flash burns after the fuel tank of a van exploded in Warwickshire last night. A local volunteer Community First Responder (CFR) was approached by the two injured men in Gerrards Road, Shipston-on-Stour shortly after 8.00pm last night (Friday). The two men had made their way from where the incident had happened nearby; the van consequently caught fire. Whilst the CFR provided initial burns care to the two men, the Trust’s control room responded two ambulances, a community paramedic and the critical care car from The Air Ambulance Service. Friday 28th July 2017 – 8.50am – Claire Brown. Excellent and rapid teamwork between the emergency services meant that all residents from a four-storey block of flats escaped injury following a flat fire in Tipton last night. West Midlands Ambulance Service received a call from West Midlands Fire Service shortly before 10.00pm last night to reports of a flat fire in St Marks Road in Tipton. Two ambulances, a paramedic officer, the Trust’s Hazardous Area Response Team paramedics and a senior paramedic officer attended the scene. A West Midlands Ambulance Service spokeswoman said: “When ambulance staff arrived, a large number of residents were in the street after they had evacuated from the block of flats. Firefighters were using ladders to rescue the remaining eight residents from windows of their properties whilst also working to quickly extinguish the fire. Notes to Editor – Picture and video credit ‘West Midlands Ambulance Service’. Thursday 27th July 2017 – 9.30am – Jamie Arrowsmith. 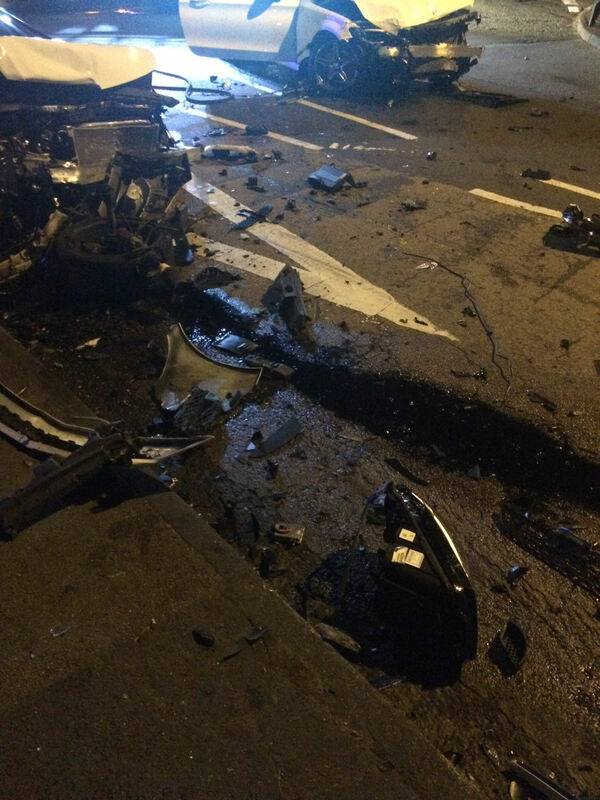 A car driver was alerted in to one of the region’s major trauma centres with serious injuries following a collision with a lorry last night that left his vehicle with significant damage. West Midlands Ambulance Service was called to Lodge Lane in Cheslyn Hay, Cannock at 7.51pm and sent two ambulances, a paramedic officer and a MERIT trauma doctor to the scene. A West Midlands Ambulance Service spokesman said: “Crews arrived to find a lorry that overturned and a car with substantial front end damage. “The driver of the car, a man in his 20s, was assisted out of the car and treated for a fractured leg, hip and pelvic injuries as well as cuts to his arms. “The man, who was suffering from a slightly reduced level of consciousness, was immobilised with the use of a scoop stretcher and given pain relief before being taken to Royal Stoke University Hospital on blue lights and sirens. “Ambulance staff found the lorry driver, a man in his 40s, sitting at the roadside having managed to get himself out. Tuesday 25th July 2017 – 5.30pm – Murray MacGregor. A motorcyclist has been anaesthetised at the scene of an incident in Coventry. West Midlands Ambulance Service was called to the junction of Radford Road and Bede Road at about 2.50pm on Tuesday afternoon. An ambulance, a paramedic officer initially responded but they requested the Warwickshire and Northamptonshire Air Ambulance due to the severity of the rider’s injuries. The man, who was estimated to be in his 20s had suffered very serious chest and facial injuries. Ambulance staff and the doctor from the aircraft carried out a number of procedures at the scene to stabilise his condition. “He was then anaesthetised, immobilised and had a pelvic binder put in place before being taken on blue lights by land ambulance to the major trauma centre at University Hospital Coventry & Warwickshire; the doctor travelled with the ambulance. Tuesday 25th July 2017 – 2.50pm – Murray MacGregor. A young cyclist has been injured after a collision with a car. It happened near to the junction of Langbank Avenue and Willenhall Lane in Coventry at just after 1.00pm this afternoon. A West Midlands Ambulance Service spokesman said: “On arrival, crews found an off-duty nurse and the crew of a WMAS non-emergency patient transport service vehicle at the scene providing aid to the girl. “The initial calls suggested that the girl had been knocked out briefly but she was fully conscious when ambulance crews assessed her. “The 10-year-old had suffered abrasions on her head, arms and legs but appeared not to have suffered any serious injuries. Her bike had not been so lucky with the saddle no longer attached to the bike. “As a precaution, the girl was taken on blue lights to University Hospital Coventry & Warwickshire. Tuesday 25th July 2017 – 2.06pm – Murray MacGregor. An elderly woman has suffered very serious leg injuries after a collision with a car in a car park. It happened at the back of the Co-op, off Market Street, in Kingswinford at about 10.05am this morning. Two ambulances, a paramedic officer and the Midlands Air Ambulance from Cosford with two doctors and a critical care paramedic on board were sent to the scene. A West Midlands Ambulance Service spokesman said: “On arrival, ambulance staff found an 88-year-old woman who had suffered very serious leg and pelvic injuries. “Ambulance staff and the doctors worked on her at the scene to stabilise her condition. She received pain relief and had her legs splinted before she was taken by land ambulance on blue lights to the major trauma centre at Queen Elizabeth Hospital Birmingham; the doctors travelled with the ambulance crew. Tuesday 25th July 2017 – 8.53am – Murray MacGregor. A teenage girl has suffered very serious leg injuries after a collision with a car. It happened outside Boots the Chemist in Mytton Oak Road in Shrewsbury at about 5.00pm yesterday afternoon. West Midlands Ambulance Service received numerous calls to the incident. An ambulance that was taking a patient into hospital came across the crash shortly after it had happened. Two further ambulances and a paramedic manager were sent to the scene. A West Midlands Ambulance Service spokesman said: “On arrival, ambulance staff found a 14-year-old girl with very severe injuries to both legs and her pelvis. “Nearby a car had come to rest against a green BT phone exchange box. Nearby a set of traffic lights and a bollard had been knocked over. “Due to the proximity to Royal Shrewsbury Hospital, the crew spent only 12 minutes on scene before leaving for the hospital with the girl. “The Midlands Air Ambulance from Cosford with a MERIT doctor and critical care paramedic on board had also been sent to the incident and went straight to the hospital. “The girl’s condition was stabilised in A&E before she was airlifted to Alder Hey Children’s Hospital in Liverpool for specialist care. “The elderly woman car driver was assessed at the scene and was treated for a possible heart attack and taken to Royal Shrewsbury Hospital. Monday 24th July 2017 – 4.30pm – Jamie Arrowsmith. The Trust’s Patient Transport Service (PTS) is an integral part of West Midlands Ambulance Service and plays a vital role in ensuring that patients from all over the region get to their hospital appointments each year. Alongside PTS crews that are employed by West Midland Ambulance Service, the Trust also utilises the help of volunteer car drivers. West Midlands Ambulance Service is currently appealing to anyone who is interested in becoming a volunteer car driver in Herefordshire and Tenbury Wells to help get patients to their appointments at local renal dialysis centres or to hospital appointments further afield. At present the Trust has around 40 volunteer car drivers who come from all walks of life and help to convey a wide range of patients to physiotherapy, renal and general outpatient appointments to a number of hospitals throughout the region. Michelle Brotherton, Non-Emergency Services Operations Delivery Director, said: “Volunteer car drivers are extremely helpful to the service. There are no set hours and volunteers can do as much or as little as they wish, enabling them to fit their volunteering around their own lifestyle. All applicants must be prepared to have a Criminal Records Bureau check. Applicants are required to be medically and physically fit and to have a mature and caring attitude. The Trust pays a set mileage rate to cover fuel costs as well as other out-of-pocket expenses e.g. cost of parking, cost of work phone calls etc. For more information please contact Ros Wale via rosalind.wale@wmas.nhs.uk. Monday 24th July 2017 – 2.15pm – Jamie Arrowsmith. A motorcyclist has died following a collision with a lorry this morning. West Midlands Ambulance Service was called to the A464 in Cosford at 10.49am. The Midlands Air Ambulance crew from Cosford was sent to the scene in a rapid response vehicle. A West Midlands Ambulance Service spokesman said: “On arrival at the scene, crews discovered a motorcyclist with multiple serious injuries. “Unfortunately, it immediately became apparent that nothing could be done to save the patient who was confirmed deceased at the scene. We do not know the gender of the motorcyclist. Monday 24th July 2017 – 10.30am – Jamie Arrowsmith. A van driver has had a lucky escape and avoided serious injury despite his vehicle overturning and landing on its roof on the M6 Toll this morning. West Midlands Ambulance Service was called to the northbound carriage, between junctions 5 and 6, at 7.55am and sent an ambulance, two paramedic officers and the Warwickshire and Northamptonshire Air Ambulance to the scene. A West Midlands Ambulance Service spokesman said: “On arrival at the scene, crews were told that the van had rolled numerous times before coming to rest on its roof. “The driver, a man in his 50s, was out of the vehicle and fully conscious. “He was assessed by ambulance crews and treated for minor neck and knee injuries before being taken to Walsall Manor Hospital by land ambulance. Monday 24th July 2017 – 9.10am – Jamie Arrowsmith. A woman was airlifted to hospital in a serious condition following an RTC yesterday evening that resulted in nine patients for ambulance crews to assess. The three-car collision took place on the A49 in Leominster, near to the OK Diner Island, just before 6.20pm and resulted in four people in total needing transporting to hospital after receiving treatment from ambulance crews at the scene. West Midlands Ambulance Service received several 999 calls to the incident and sent three ambulances, a paramedic officer and the Midlands Air Ambulances from Cosford and Strensham to the scene. A West Midlands Ambulance Service spokesman said: “On arrival at the scene, it became immediately apparent to crews that the most seriously injured patient was a passenger in one of the cars. “The woman, believed to be in her 40s, had suffered multiple serious injuries and was found to be in cardiac arrest. “She was rapidly freed from the car by ambulance crews who began performing CPR and advanced life support. “They successfully managed to restart her heart before emergency treatment continued as the woman was airlifted to Queen Elizabeth Hospital, Birmingham, in a critical condition. “From the same car, a man in his 60s, managed to free himself before being treated for a chest injury as well as minor head and back injuries. He was immobilised and given pain relief before being airlifted to the same hospital. “A young boy and a young girl from the same car were treated for chest pain and a leg injury respectively before being transported to Hereford Hospital by land ambulance. “Travelling in a second car, a man in his 40s was treated for minor head and back injuries. A woman in her 30s escaped uninjured and a young girl was assessed for a minor shoulder injury. All three were discharged at the scene. A group of teenagers were a great help to ambulance staff last night by directing crews to their injured friend in a wooded area in Wolverhampton. West Midlands Ambulance Service was called to a wooded area behind Tiger Wok on the Bridgnorth Road in Compton, Wolverhampton shortly after 6.00pm (Wednesday). A responder paramedic, an ambulance, a paramedic officer and the Trust’s Hazardous Area Response Team (HART) were sent to the scene. A West Midlands Ambulance Service spokeswoman said: “When the responder paramedic and ambulance crew arrived they were greeted by the teenager’s friends who directed them to the patient; a 10-minute walk from the Bridgnorth Road across fields and into a wooded area of land. Due to their being no phone signal in the wooded area, his friends had raced to the main road in order to call 999. Once with the patient, a 13-year-old boy, ambulance staff were told by his friends that he had initially been knocked unconscious after coming off his pushbike. Thankfully, the boy had regained consciousness but upon assessment was found to have sustained a nasty facial injury, a suspected serious pelvic injury as well as pain in his back and neck. “Whilst the initial team of ambulance staff began treating the teenage boy with pain relief and wrapping him in a blanket to keep him warm, his friends were asked to go back to the ambulance on Bridgnorth Road to wait for and direct HART and the paramedic officer. “Once the full team of ambulance staff were with the teenager he was carefully immobilised using a neck collar, pelvic splint and specialist multi-integrated body splint (MIBS). The boy was then carried by the team across the rough terrain back to the awaiting ambulance. The teenager was then taken to New Cross Hospital for further assessment and treatment. Wednesday 19th July 2017 – 8.30am – Murray MacGregor. A woman has been anaesthetised at the scene of a serious RTC. The crash happened on Shenley Lane in the Weoley area of Birmingham. An ambulance was on scene within seven minutes and was backed up by a second ambulance, a paramedic officer and the MERIT trauma doctor and critical care paramedic. A West Midlands Ambulance Service spokesman said: “On arrival, ambulance staff found a small blue car with substantial damage to the driver’s side and a Jaguar car with front nearside damage. “The driver of the blue car, a 20-year-old woman, was initially unconscious. She was being helped by an off-duty GP and a police officer who was holding her neck still. “Ambulance staff worked with firefighters to extricate the woman. After assessment, she was anaesthetised by the doctor and taken on blue lights to the major trauma centre at Queen Elizabeth Hospital Birmingham with a suspected head injury. The 54-year-old man driving the Jaguar had managed to get out of the vehicle himself. He was complaining of muscular chest and right arm pain. After assessment, he chose not to go to hospital and was discharged at the scene. Monday 17th July 2017 – 8.35am – Jamie Arrowsmith. Three people have died and one has been taken to hospital following a collision between a car and a tree yesterday afternoon (Sunday). West Midlands Ambulance Service was called to Coleshill Road in Atherstone at 4.35pm and sent three ambulances, a rapid response paramedic a paramedic officer and the Warwickshire and Northamptonshire Air Ambulance to the scene. A West Midlands Ambulance Service spokesman said: “On arrival, crews discovered a car that had collided with a tree and four patients. “Unfortunately, it became apparent that nothing could be done to save three of the patients, two men and a woman, and they were confirmed dead at the scene. Want to find out more about your local ambulance service? Come along to our annual meeting and find out more about working for an ‘Outstanding’ Ambulance Service. West Midlands Ambulance Service NHS Foundation Trust boasts the highest paramedic skill mix in the country. 2016-17 saw the service continuing to strive to ever better this skill mix by recruiting a large number of graduate and student paramedics. The Trust also introduced a new fleet of vehicles and completed the roll out of an electronic patient records system, alongside trialling other initiatives to ensure we get to patients as quickly as possible. 2016-17 was also an extremely successful year for our patient transport services, who were awarded two new brand new contacts. The meeting will take place at The Academy, Dudley Road, Brierley Hill, DY5 1LQ. Doors will open for the careers event at 5.30pm with the main meeting commencing at 6.30pm. The event provides an opportunity for members of the public to meet with the Board of Directors, representatives from Council of Governors and Trust staff. Presentations will be delivered, providing an insight into how the organisation performed in 2016-17, including the Quality Account and financial statements. The meeting will also highlight the focus and challenges the service are facing for the current year. WMAS Chief Executive, Anthony Marsh, said: “During 2016-17 West Midlands Ambulance Service was the only ambulance trust to be rated ‘Outstanding’ by the Care Quality Commission (CQC). I am incredibly proud of my staff and the volunteers who support us, for providing the best possible care to patients across the West Midlands. Helping others is at the heart of everything we do and I am hugely pleased that the CQC saw a positive, patient centred culture within the Trust with hard working staff proud to work here and making a real difference to patients’ lives. 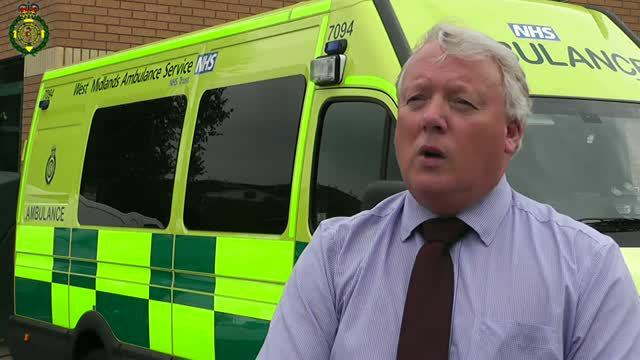 WMAS Chairman, Sir Graham Meldrum, added: “Despite the challenges faced by the NHS and the heavy demands placed upon the ambulance service, the Trust continues to focus on patient care. It is an inevitable fact that, every single day, people will call 999 for help in their hour of need. These patients are receiving the highest standard of care and compassion from our staff as well as being provided with appropriate care in the right place and at the right time. I am very proud of all of our staff who provide such an excellent standard of service. Anyone wishing to attend should email: foundationtrust@wmas.nhs.uk by Friday 21st July. Please title your email ‘Annual Meeting’. * The careers event will host staff from emergency operations centre, paramedics, Trust Tweeters – Lucy Parrott and Sam Grimson, Ambulance Fleet Assistant information, Ambulance Service Fit Test, The recruitment team, Community First Responders – FastAid, Organisational Development and information about health and well-being volunteering opportunities. The introduction of the Ambulance Response Programme will mean that more patients will be seen more quickly than ever before. Here, some of the experts behind the scheme explain more about why it is good news for patients. Do you want to find out more about what ARP means for you? To view the University of Sheffield report that evaluates the new ambulance service standards please click the link below. Thursday 13th July 2017 – 12.20pm – Murray MacGregor. West Midlands Ambulance Service is welcoming a new system of response standards which will ensure that patients in the most need get an even quicker response. The Government has today announced approval for the Ambulance Response Programme (ARP) which has been developed by clinicians over the last 18 months and is the most rigorously tested programme of its kind anywhere in the world. Under the new system, call handlers in the 999 control rooms ask additional questions that can very quickly identify those patients who will be the highest priority; this allows an ambulance to be dispatched without delay. For other types of call, ambulance staff are given additional time to assess the needs of the patient more fully so that the right response can be sent to meet their needs. Because this means a more efficient tasking of ambulance resources, callers actually get a quicker response than they do at present. West Midlands Ambulance Service has been one of three ambulance trusts piloting the new scheme and the figures show patients and staff alike benefit from the new system. Trust Chief Executive, Anthony Marsh, said: “Since we introduced the Ambulance Response Programme last summer we have been able to get to more patients, more quickly, than ever before, particularly those with the most serious conditions; this has undoubtedly led to lives being saved. “ARP gives us a chance to send the correct response to each patient, not just the closest. For example, in the case of a stroke patient, under the old system, we might have sent a rapid response vehicle and then an ambulance so that we could stop the clock. However, what that patient actually needed was to get an ambulance to the patient and get them to a hyperacute stroke unit. ARP means the patient gets life-saving treatment more quickly allowing a faster and more complete recovery to take place. “For this type of call, we can show that on average we get a conveying ambulance to that patient over a minute more quickly than we used to; 12:42 as opposed to 13:48. However, for the most serious case – category 1 – we are also getting to patients more quickly because the system is much more efficient. “Whereas we might have sent multiple vehicles to other cases just to stop the clock, we now just send the right one. This means that the number of times that an ambulance vehicle has been dispatched and then stood down has dropped dramatically. “The system has freed up ambulances which were previously heading to incidents and then being stood down, which are now utilised to get to lower categories of calls that might previously have waited longer for a response. “We already had some of the toughest targets in the world; in many respects, these new ones are tougher still. For example, the number of patients in the most serious category has been doubled from three to six percent. This means that those patients who are truly life-threatened will get a faster response and get the treatment they need even more quickly. “Despite this, the figures speak for themselves: previously we used to get to Red 1 calls in an average of 7mins 30seconds. Now we get there in 7mins 5secs even with the bigger number of patients. “Not only is the system popular with road staff, it is also popular with control room staff because they know that they have the time to get to the right decision rather than having to react without necessarily having the full information of what a patient really needs. ARP was developed with significant input from senior ambulance clinicians. It has been rigorously tested using over 10 million 999 calls, with no safety incident or concerns. It has been independently evaluated by Sheffield University in what has been the largest study of its kind ever completed anywhere in the world. Thursday 13th July 2017 – 9.00am – Claire Brown. There’s still time to apply to help save lives in your local community in your spare time. We’re looking for keen and willing potential recruits to become volunteer Community First Responders (CFRs) in Shropshire, particularly South East Shropshire. To find out more and to apply, please visit NHS Jobs via www.jobs.nhs.uk and search for ‘Community First Responder’. The closing date for application has been extended until Sunday 23rd July. Wednesday 12th July 2017 – 2.40pm – Murray MacGregor. A collision between a motorbike and a pedestrian has left a woman with a potentially serious head injury. The crash happened on Birmingham Road, in the Sutton Trinity area of Sutton Coldfield at about 11.50am this morning (Wednesday). An ambulance was on scene in six minutes and was backed up by a paramedic officer and the Warwickshire and Northamptonshire Air Ambulance. A West Midlands Ambulance Service spokesman, said: “When ambulance crews arrived, they found a woman pedestrian who was estimated to be in her 50s, but there was no motorcycle. “The woman had a reduced level of consciousness and had suffered a potentially serious head injury as well as cuts and bruises. Wednesday 12th July 2017 – 9.25am – Jamie Arrowsmith. Two people have been injured and taken to hospital after a car collided with a stationary car and a house last night (Tuesday). West Midlands Ambulance Service was called to Field Road in Bloxwich shortly before 11.40pm and sent two ambulances, a paramedic officer, a MERIT trauma doctor and the Trust’s Hazardous Area Response Team to the scene. A West Midlands Ambulance Service spokesman said: “On arrival, crews discovered two patients, both of whom were travelling in the car. “The rear seat passenger, a man in his 20s, had managed to get himself out of the vehicle. “Following assessment from ambulance staff, he was treated for serious chest injuries as well as cuts to his arm. “He was given pain relief and taken on alert to Queen Elizabeth Hospital, Birmingham where a trauma team were awaiting his arrival. The MERIT doctor travelled with the patient to continue treatment en-route. “The driver, a man in his 20s, was found to be unresponsive by emergency services colleagues who had freed him from the vehicle and rapidly started treating him. “The man was still unresponsive on arrival of ambulance staff who treated him for a head injury. Wednesday 12th July 2017 – 9.02am – Murray MacGregor. Four people have been assessed by ambulance staff after a severe fire. The incident happened at about 12.15am on Shepherds Green Road in the Gravelly Hill area of Birmingham. Two ambulances, a paramedic officer and the Hazardous Area Response Team (HART) were sent to the scene. A West Midlands Ambulance Service spokesman said: “On arrival, ambulance staff found firefighters using breathing apparatus dealing with a serious house fire with lots of smoke. “Four people has been in the property at the time of the fire. “While HART provided medical cover for the fire service while they made the building safe, the other ambulance staff assessed the four patients. “Two men, aged 52 and 43 were treated for smoke inhalation. After being given oxygen and being nebulised, they were taken to Good Hope Hospital for further assessment. “Two other men believed to be 31 and 66 years old were also assessed but did not require any further treatment and were discharged. Monday 10th July 2017 – 5pm – Jamie Arrowsmith. A Shropshire Paramedic is hoping to avoid creating his own real-life emergency, despite preparing to drive halfway across the world in a car that he describes as ‘dreadful’. To raise money for the Midlands Air Ambulance Charity, Ed Hullah is attempting to travel from Salop to Saigon in his own 2004 Volkswagen Polo – but admits he is not sure how far it will get. The adventure is to be completed in two parts with Ed setting the wheels in motion on Saturday (15th July) when he will begin a journey that will see him drive through Eastern Europe and Russia before arriving in Mongolia. He will then drive home again before having the car shipped out next year to continue the journey through China, Laos and Cambodia before arriving in Vietnam. That is the plan anyway. How smoothly things will run, and how far the car will get him awaits to be seen. Looking ahead to the trip, Ed, from Bucknell, said: “I have zero mechanical knowledge or experience, which I hope will give me the opportunity to interact with local people of foreign nations. “Along the way, I will rely on human goodwill to get myself out of any mishaps I have, such as break downs or getting the car stuck in the desert. I’m sure there will be other mishaps that I haven’t planned for, too. Ed and has funded the entire trip himself, in order to ensure that every penny raised as part of the fund-raising drive goes to the Midlands Air Ambulance. As part of the fund-raising, a raffle is being held with a £500 prize on offer. Each ticket requires the entrant to guess how many miles the car will go before he cannot travel any further in it. To buy a ticket, please visit www.raffle2saigon.com. In order for people to follow Ed’s progress, live satellite tracking is to be installed on the car which can be viewed by visiting www.salop2saigon.com. You can also keep up to date with all of the latest news by searching for Salop2saigon on Instagram and Facebook. Monday 10th July 2016 – 2.15pm – Jamie Arrowsmith. It was a very different learning experience for a group of students from throughout the region last this week as they discovered what it is like to work for the ambulance service. A total of 12 youngsters spent the week at Dudley Hub as part of the Trust’s work experience programme, during which time they met a range of operational staff, including paramedics from the Trust’s Hazardous Area Response Team (HART), to find out more about their roles and responsibilities. This included how 999 calls are handled, basic life support, how to use a defibrillator, what causes a cardiac arrest and the work of community first responders amongst much more. They also got to explore the back of an ambulance and sample some of the various equipment staff use daily to treat patients. Not only that, but they were also given a first-hand account of what the week’s work experience can lead to, as recently qualified paramedic Laura Barnett spoke to the group about how she carried out the same work experience four years ago and how her career path led to a job with West Midlands Ambulance Service. Diane Pittom, the Trust’s Organisational Development Officer, said: “It has been a pleasure to hose a group of very keen students who have hopefully learnt a lot in their time with us. 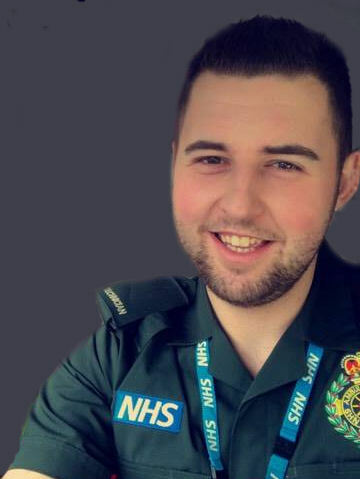 One of the students, Sam Simpson, has already secured a place at the University of Wolverhampton – where he will study Paramedic Science from January – and said the week has been beneficial to him. “It has been really good to see lots of different aspects of the ambulance service such as the HART team and the MERIT doctors. I had done plenty of research prior to coming this week and it has been good to see that first hand. Chelsea Evitts, who attends the Health Futures College in West Brom, said: “It has been a really good week and interesting to find out about all of the different roles in the ambulance service. Dudley-based paramedic Laura, said: “The work experience programme is still the same one as I did four years ago, and look where it has allowed me to end up. “It is a good opportunity for those students who get to do it. It allows them to learn a lot about the service and hopefully gives them a good understanding of the work that we do. Picture 1 – (left to right) Chelsea Evitts (Health Futures UTC, West Bromwich), Riham Osman (King Edward VI, Stourbridge), Diane Pittom (WMAS), Reem Osman (King Edward VI, Stourbridge), Harry Bartleton (Pool Hayes Academy, Willenhall); Abbie Bubb (Health Futures UTC, West Bromwich), Georgia Smith (Health Futures UTC, West Bromwich); Nirvana Lakha (King Edward VI Camp Hill School, Kings Heath), Leah Timmis (Summerhill Secondary School, Kingswinford), Rebecca Attewell (Ormiston Forge Academy, Cradley Heath), Georgia Bentley-Green (Summerhill Secondary School, Kingswinford), Sam Simpson (Dudley College), Jude Evans (Redhill School, Stourbridge). Picture 2 – Sam Simpson and Chelsea Evitts. Picture 3 – Laura Barnett (WMAS Paramedic based at Dudley). Monday 10th July 2017 – 9.10am – Jamie Arrowsmith. One person has died and three others required hospital treatment following a serious collision on the M42 last night. Four cars and a lorry were involved in a collision which resulted in three of the cars setting fire and eight patients in total for ambulance staff to assist. West Midlands Ambulance Service received a 999 call to the M42 southbound between junctions 2 and 1 at 8.55pm and sent two ambulances and two paramedic officers to the scene. A West Midlands Ambulance Service spokesman said: “Three of the cars were well alight when crews arrived. “The fire service worked quickly to extinguish the fires but upon doing so, a patient was discovered in one of the cars. “Unfortunately, it immediately became apparent nothing could be done to save them and they were confirmed deceased. “An off-duty technician, who was in traffic just behind the accident, immediately went to assist upon seeing the collision and with the help of bystanders, managed to pull a woman from one of the burning cars. “She was treated for minor burns and am arm injury and taken to Queen Elizabeth Hospital, Birmingham. The quick-thinking actions of those who rescued the woman undoubtedly saved her from suffering far more significant injuries. “From the same car, the driver, a man believed to be in his 50s, managed to get himself out of the vehicle. He was treated for minor injuries and taken to the same hospital. “A driver of another car, a man, was treated for a knee injury and taken to the Alexandra Hospital in Redditch for further treatment. We do not know the gender of the deceased patient. Friday 7th July 2017 – 1pm – Jamie Arrowsmith. A teenage girl has died in a collision between a minibus and a lorry that resulted in 26 patients this morning. West Midlands Ambulance Service was called to Kingsbury Road in Castle Vale, Birmingham at 9am and sent two ambulances, three paramedic officers, a senior paramedic officer, the Trust’s Hazardous Area Response team and the Midlands Air Ambulance Crew from Cosford in a rapid response car to the scene. A West Midlands Ambulance Service spokesman said: “Crews arrived on scene to discover a collision between a minibus and a lorry. “There were 25 patients, from the minibus. One of whom, a teenage girl, had suffered serious injuries in the collision and unfortunately it immediately became apparent that nothing could be done to save her and she was confirmed dead at the scene. “A second teenage girl received treatment at the scene for minor injuries and was transported to Heartlands Hospital for further assessment. “A further 19 children were discharged at the scene together with four adults, which included the minibus driver. Friday 7th July 2017 – 12.05pm – Jamie Arrowsmith. West Midlands Ambulance Service received a call at 9am to a road traffic collision between a lorry and a minibus on Kingsbury Road in Castle Vale, Birmingham this morning. Two ambulances, three paramedic officers, a senior paramedic officer, the Trust’s Hazardous Area Response team and the Midlands Air Ambulance Crew from Cosford in a rapid response car to the scene. Friday 7th July 2017 – 8.50am – Jamie Arrowsmith. A pedestrian has died following a collision with a car last night (Thursday). West Midlands Ambulance Service was called to the A38 near to Branston in Burton on Trent, shortly before 8.20pm and sent two ambulances, a paramedic officer and a MERIT trauma doctor to the scene. The Derbyshire, Leicestershire and Rutland Air Ambulance was also in attendance. A West Midlands Ambulance Service spokesman said: “On arrival crews discovered a woman who was in cardiac arrest following the collision having suffered serious injuries in the incident. “Ambulance staff began CPR and administered advanced life support and successfully managed to restart the woman’s heart at the scene. Emergency medical treatment continued as the woman was airlifted to University Hospital Coventry and Warwickshire. Thursday 6th July 2017 – 8.48am – Murray MacGregor. A man has died despite all of the efforts of ambulance and police staff. Emergency services were called to the eastbound M45 at Dunchurch at 4.30am this morning (Thursday). An ambulance and a rapid response vehicle were sent to the crash. A West Midlands Ambulance Service spokesman said: “When ambulance staff got to the scene they found a car that had struck the central reservation. “Police officers, who had arrived just before the ambulance, were getting the driver out of the car. “He was taken onto the ambulance where ambulance staff immediately started advanced life support. The man was taken on blue lights to University Hospital Coventry & Warwickshire where medics were on standby. Monday 3rd July 2017 – 9.14am – Murray MacGregor. Three men have escaped with what appear to be remarkably minor injuries despite a crash that left three vehicles with massive damage. The collision happened a the junction of Church Road and Lea Hall Road in the Yardley area of Birmingham at 10.15pm last night. Two ambulances and two paramedic officers were sent to the scene. A West Midlands Ambulance Service spokesman said: “On arrival crews were faced with three cars, where the vehicles had suffered a huge level of damage. “Astonishingly, given the level of damage, the injuries sustained appeared not to be too serious. “A 20 year old man from a white car had managed to get out of the vehicle and was lying on the ground. He was complaining of back pain. He was immobilised before being taken to Heartlands Hospital. “A man in his 40s from a second car had suffered leg injuries and was taken to the same hospital, while a man estimated to be in his 60s from the third car was discharged at scene after an assessment by ambulance staff. Monday 3rd July 2017 – 8.30am – Murray MacGregor. 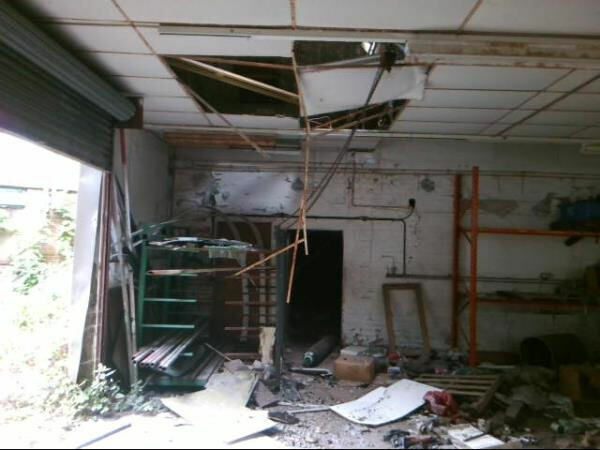 Ambulance staff say a youngster is lucky to be alive after falling through the roof of a derelict building last night. West Midlands Ambulance Service was called to a location Opp Minworth Car Sales on Kingsbury Road in the Castle Vale area of Birmingham at about 7.15pm last night. 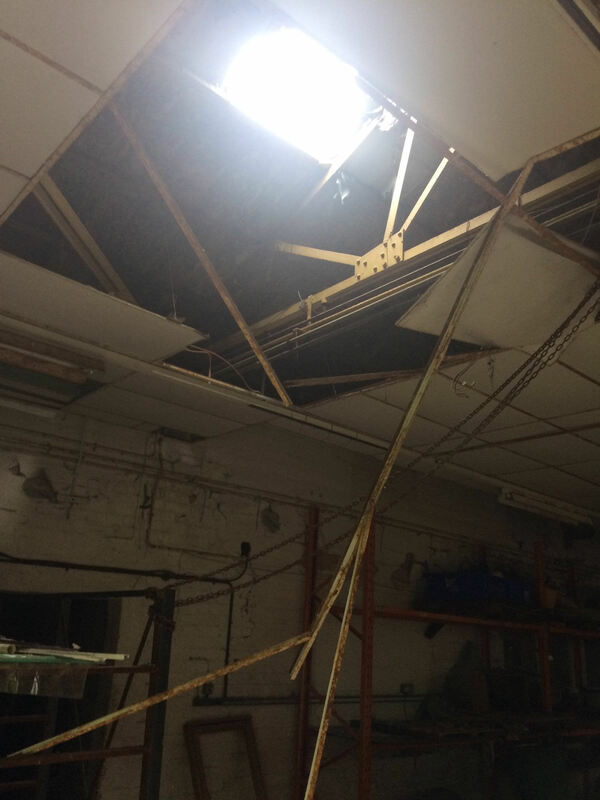 A West Midlands Ambulance Service spokesman said: “Ambulance staff were told that the nine-year-old was with friends when he went through the roof and landed on the concrete floor. “He was helped out of the building before ambulance staff were called. “It is estimated he fell 25 – 30 feet. He had suffered a fracture to his left forearm and was complaining of back and neck pain. He had his arm splinted and was immobilised before being taken on blue lights to Birmingham Children’s Hospital, the region’s paediatric major trauma centre. Tuesday 4th July 2017 – 5.20pm – Jamie Arrowsmith. A teenage boy has been treated for serious injuries and taken on blue lights and sirens to hospital following a collision with a car this afternoon. West Midlands Ambulance Service was called to Eastern Avenue in Lichfield at 3.50pm and sent an ambulance and the Midlands Air Ambulance from Staffordshire to the scene. A West Midlands Ambulance Service spokesman said: “On arrival, crews discovered a teenage boy who had been seriously injured in the collision. “He was assessed and treated for a head injury as well as arm and leg fractures. He was also suffering from a slightly reduced level of consciousness. “Ambulance staff immobilised and him and administered pain relief before transporting the patient to Birmingham Children’s Hospital. The doctor from the air ambulance travelled with the patient to continue treatment en-route to hospital. It’s hard to believe that, on average, one of our staff is physically attacked every single day. According to the figures for 2016-17, there were 362 physical assaults. On top of that, staff reported a further 525 cases where they were verbally abused. Often it was in a threatening manner, on other occasions it was racially motivated. This morning, Steve Elliker, our Security Manager and Jordan Rowley one of operational staff in Stafford spoke to Liz Ellis on BBC Radio Stoke. Monday 3rd July 2017 – 4.52pm – Murray MacGregor. A man who was left hanging upside down by his seatbelt for 30 minutes has suffered remarkably minor injuries considering. He was one of the three people hurt in a two car crash near Wolvey in Warwickshire. Three ambulances, a paramedic officer and the Warwickshire and Northamptonshire Air Ambulance were sent to the scene after a call at 1.26pm on Monday lunchtime. “The 21 year old lady in the Citroen had to be freed due to the door being stuck. Ambulance staff worked with firefighters to extricate her onto a long board to immobilise her. She was complaining of pain in her head, neck, back, shoulder, chest, thigh and shin. She was given pain relief before being taken to University Hospital Coventry & Warwickshire by ambulance. “The 48 year old man in the BMW who was left upside down was carefully helped out of the vehicle and was assessed by ambulance staff. He was taken to the same hospital for further assessment.